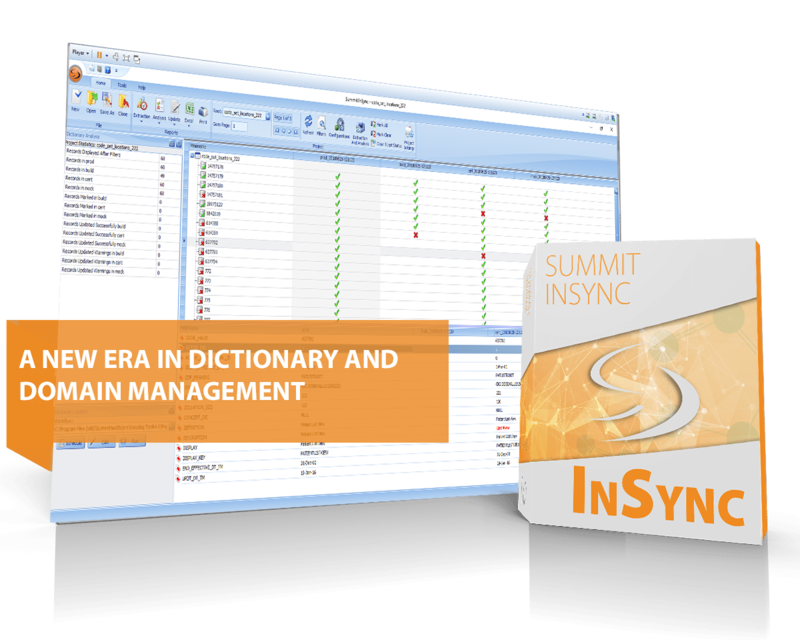 Summit InSync is the best application for all your routine, intermittent and ongoing dictionary and domain management needs. The InSync platform is built on a simple three-step process of extract, analyze, update which can be applied across your Cerner or MEDITECH environments. With the help of the user-friendly Summit InSync Dashboard, users will be guided through the automated data import process to easily compare and select extracted data for integration into their sync project. Whether you are undergoing routine synchronization, synchronization of advanced clinical applications, EHR integration or migration, or any other data migration, your team will benefit from the efficiency and accuracy of Summit InSync. Intuitive controls display dependent and related data from even the most complex environments and our color-coded analysis screen flags and filters for easy updating. Summit InSync also supports multiple location set-up. 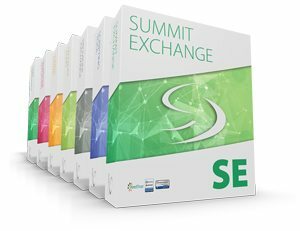 Implementation is made simple as you will have access to Summit support resources including an installation and software engineer, education specialist, and remote training to help you construct, test and run your syncs. Summit InSync also allows you to develop realistic testing, training and development environments as you roll out future applications and data migrations. Avoid manual, time consuming environment updates. Update thousands of records in moments. Customizable edits to meet your unique needs. Accessible for all technical levels. Increase productivity, eliminate manual updates. Compliant with established EHR safeguards. 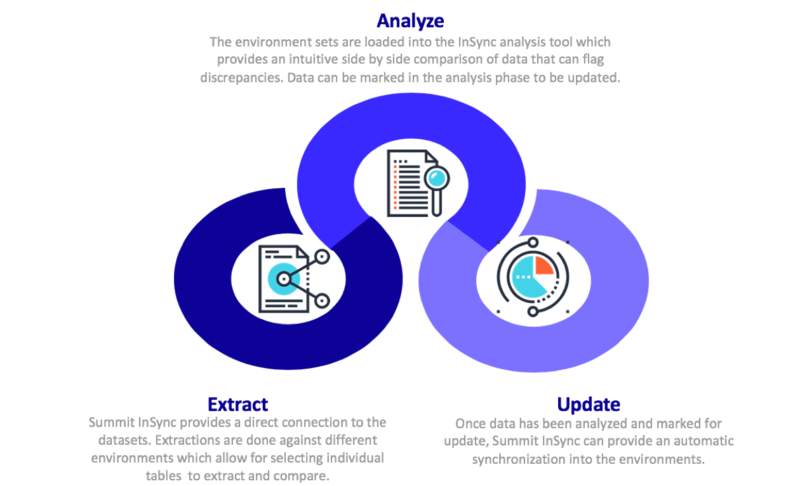 Ensure environments match for accurate testing & EHR updates. More accurate testing with confirmed environments. the Cerner and MEDITECH platforms. Our Cerner clients benefit from our newly available full feature domain compare and synchronization platform which leverages the features of InSync with added flexibility to manage all of your production and non-production domains across any Cerner platform. Summit InSync provides a direct connection to Cerner datasets via an ODBC driver. Summit InSync is also the leading dictionary synchronization platform for MEDITECH hospitals. InSync supports MEDITECH platforms and features direct MEDITECH dictionary extraction, resulting in no scripting and no data extraction reports.